Do you love to play Tennis? Do you see yourself as the next Serena Williams? Maybe the next Jo Konta? Sam Stosur? Well, wherever you are from, if you are in love with the amazing sport of Tennis, this superb customisable sports sticker might just be the one for you! 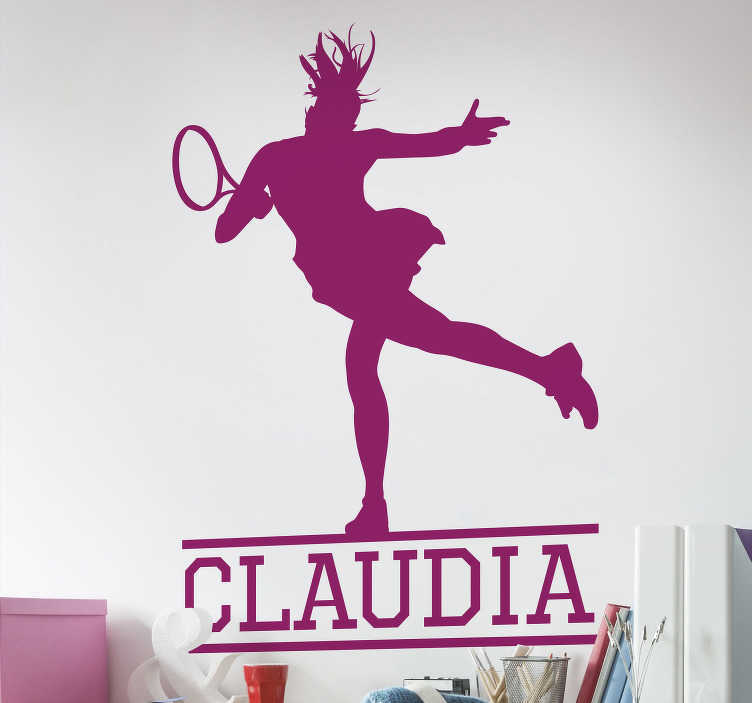 An ideal silhouette sticker for all sports lovers, but especially Tennis players! Depicts a girl hitting a surefire winner down the line, with the name underneath!